Micaiah Sawyer is coming to SJCT on Saturday, February 9th at 7:30 pm. She hummed her first notes to the melody of Ode to Joy at sixteen months old, wrote her first song at 10, and hasn’t stopped making music since. She has been recognized by and has worked with many prestigious musicians such as Grammy award winning bassist Garey Shelton and Drummer Ben Smith of Heart. In 2009, Micaiah won the opportunity to record with drummer and producer Ken Mary, formerly of Alice Cooper. This was her first endeavor into the professional music industry, and it solidified her passion to pursue music as her career. Shortly after, as a senior in high school, Micaiah received a full scholarship to attend Grammy Camp, a selective music intensive held in LA. She sharpened her skills as a songwriter under the mentorship of Chris Sampson of the USC Thornton School of Music, while also collaborating with other attendees and learning from many professional musicians, including award-winning artists Tori Kelly and Colbie Caillat. 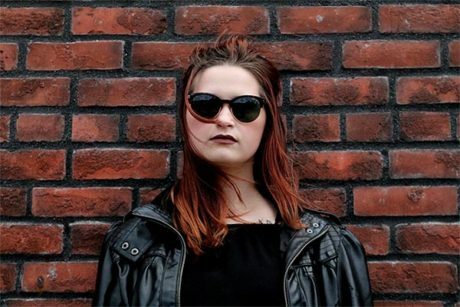 In March of 2018, Micaiah had the honor of becoming the first female artist to win Sound Off!, a battle of the bands competition hosted by Seattle’s Museum Of Pop Culture and KEXP 90.3 FM, garnering her opportunities to play at major Pacific Northwest festivals such as Bumbershoot and Upstream Music Fest. Thanks to awarded studio time provided by The Vera Project, Micaiah recently released her new single, Thunder, which is available on Spotify and all major music outlets. Today Micaiah lives in Olympia, Washington and performs regularly with her five piece band. She’s working to get her music recorded and published in the hopes of advancing the career of her dreams. Micaiah has been performing on the west coast for several years, and she has had the pleasure of sharing a stage with many acts, including Phoenix, Blondie, Agnes Obel, Cold War Kids, Kelela, Lovelytheband, Gypsy Temple, Strawberry Mountain, Sway Wild, Maiah Wynne, Misvnderstood, Gabriel Wolfchild and Tobias The Owl.